When you have IBS (Irritable Bowel Syndrome), life is fraught with fear. When will it strike? Where will it strike? How badly will it strike? Jobs that require frequent travel, presentations and long meetings – The intense stress created by these circumstances can aggravate IBS. Boarding trains, catching connecting flights, dealing with cramped quarters and waiting in line for bathrooms while holding your bowel movements can skyrocket your symptoms. 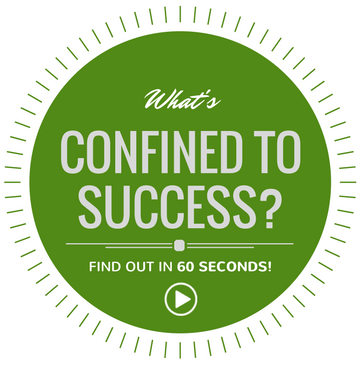 Presentations and business meetings present their own challenges. When giving a presentation all eyes are on you, and meetings may entrap you for an excruciatingly long time. If you're experiencing crippling pain, you may have to reschedule a meeting numerous times, which could jeopardize your job. Long commutes – Long drives can be torture if you urgently need to go to the bathroom and no public restrooms are available along the way. Traffic jams, detours, and road construction can also be a nightmare. Employers who don't consider IBS to be a serious illness – Many employers are unsympathetic to IBS sufferers because they regard the condition as an "invisible illness." They aren't aware that it's the primary cause of absenteeism after the common cold (source). Inflexible employers – Rigid employers who won't give you time off when you have flare-ups back you into a no-win situation. Long hours – Jobs that require you to come in early, stay late and come in on weekends give you little time to de-stress and calm your digestive system. This is even worse if you're instructed to do so at the last minute. 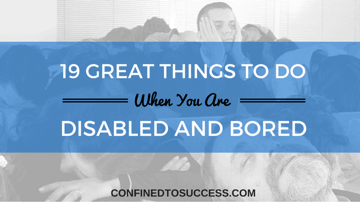 You'll also have to endure more hours struggling to control your symptoms. Sympathetic supervisors and co-workers – When it's understood that you may have to abruptly head for the bathroom or eat at consistent times every day, the result will be a harmonious workplace that may de-stress you enough that your symptoms calm down. A standing desk – A standing desk is a desk that's tall enough for you to work at while standing (source). This desk is helpful for IBS because the digestive system gets squeezed when sitting down. This reduces its ability to process your food, which can intensify your IBS symptoms. Some of these desks can be raised and lowered if you'd like to sit for a while. A compassionate manager – An understanding boss will understand that you aren't shirking responsibility or faking an illness when you periodically ask if you can take time off or leave early. Jobs with direct, prolonged contact with people – Jobs such as fast food and retail require you to be tethered to one place, with extreme interaction with people. It's hard to maintain a façade of being "on" all the time when you're miserable. Receptionist – This is another job where you're on the frontlines of the company. If you have someone acting as a backup while you're away from your desk, it gives you more flexibility. If not, you miss answering calls and routing them, as well as keeping visitors waiting. Interstate truck driver – Interstate truck drivers, also called "over the road" or "long haul" drivers, often travel thousands of miles over the course of days, weeks or months. That could equate to agonizing distances between truck stops and rest areas. An attack could also be downright lethal when you have 40 tons of metal barreling behind you. Nurse – Nursing is an extremely high-stress job. It entails working in a chaotic environment and spending much of the day on your feet. People's health and lives are in your hands, and there's no margin for error. This intensity can set off an attack, and you can't just drop what you're doing and run for the bathroom. Dog trainer – When you're a dog trainer, you often get to work outside, independently. You won't be competing with co-workers for bathroom access. On top of that, you'll be interacting with one of the most non-judgmental creatures on earth. Medical coder – Medical coders use diagnosis and procedure codes to ensure healthcare providers are compensated for their services. They also act as patient advocates in settling accounts. As a medical coder, you can partially telecommute or work entirely from home, as long as you have the proper coding and billing software. Bookkeeper – Bookkeeping is a job you can do remotely or as your own home-based business. If your clients are located in another town or out of state, you'll have privacy when an emergency hits. If a face-to-face meeting is required, you can schedule it at your home so you can use a bathroom that's a discreet distance away. Web developer – When you're a web developer, you have the luxury of working from home, typically with minor client contact. You need to know computer programming and will create websites from scratch utilizing coding and database management. Affiliate marketer – Affiliate marketing is one of the most lucrative means of making money on the internet. 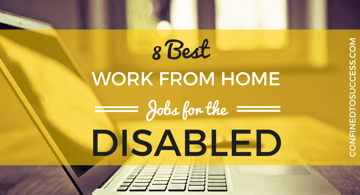 It allows you to be your own boss while working entirely from home. You'll also have no contact with others and you set your own hours. This type of marketing involves promoting the products of another person or company on your own blog or website. You have the freedom to choose the products you'd like to promote. Your blog or website will contain a link that's connected to the seller's product, whereupon you earn a commission when someone clicks the link and buys the item. IBS is often considered insignificant because its symptoms aren't visible. This misconception can make it hard for sufferers to be hired or stay employed. 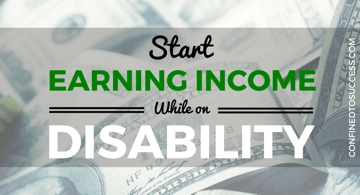 However, there are many jobs for people with IBS, and affiliate marketing is ideal. 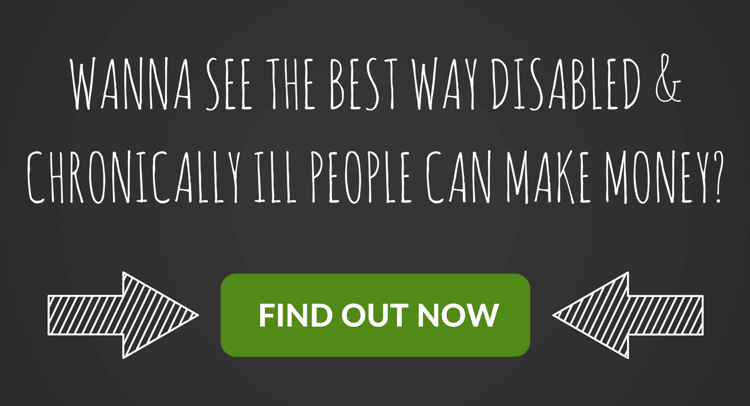 Just because your IBS is invisible doesn't mean that you are. 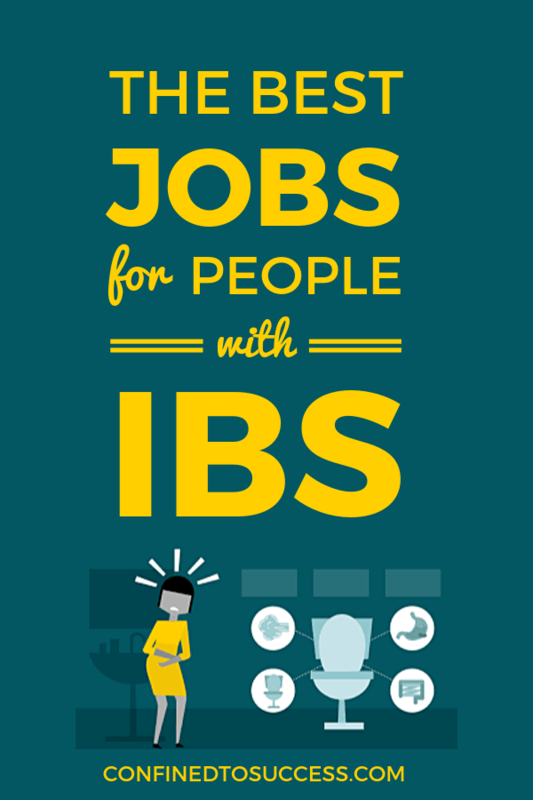 What jobs for people with IBS would you recommend? How have you dealt with IBS in the workplace in the past? Leave your comments below!